ĐÀ NẴNG — Việt Nam will send more than 370 athletes – its most ever – to compete in the third VNG Ironman 70.3 Việt Nam 2017 in Đà Nẵng on May 7th. The event’s organisers, the Sunrise Events Company, said in a press conference yesterday that more than 1,300 athletes including 25 professionals from 55 countries and territories will compete in the event. Named Asia’s best long course destination triathlon in 2016 and the best inaugural long course event in 2015 by AsiaTri Magazine, the 2017 edition will feature a 1.9km ocean swim, a 90km bike race and a 21km run along the central city’s coastline. Trịnh Bằng, general director of the Sunrise Events Company said the Ironman 70.3 Việt Nam expects to create an economic impact of US$10 million from sport tourism this year. He said previous champions France’s Cyril Viennot and Switzerland’s Caroline Steffen will return to defend their titles. 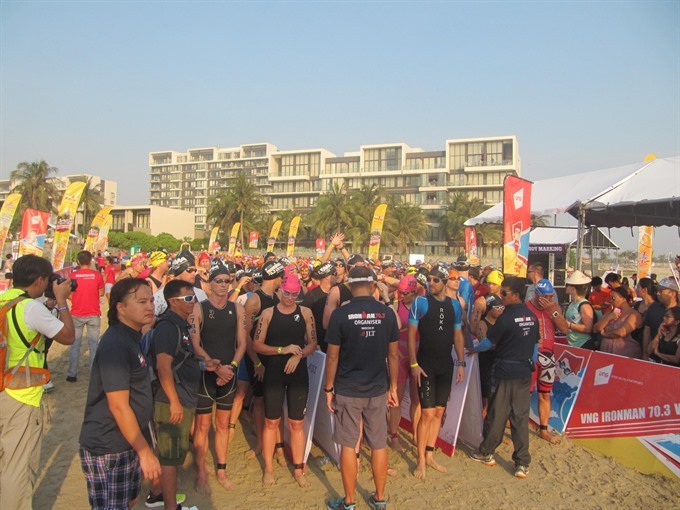 Alongside the Ironman 70.3 Việt Nam, the race’s organisers will also host two events – IronKids and Sprint – to promote triathlons to young generations and local people. 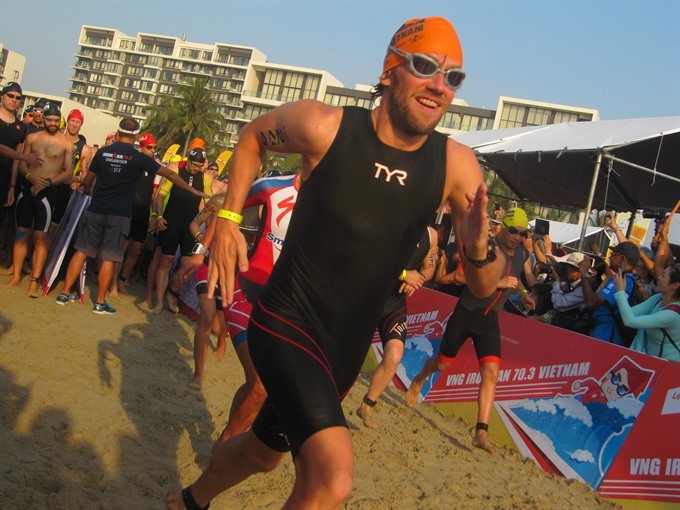 Sprint, a short-distance race, will provide a 750m open-water swim, 20km bike and a 5km run for both new and veteran athletes along part of the same course of Ironman 70.3, on May 7th. Meanwhile, kids will enter an aquathlon including swimming and running on May 6th. New for 2017 will be the first ‘Showdown in Đà Nẵng’ – a race within the race that will showcase more than 10 of the top age group athletes in the region, several of whom have finished top overall in their age group in recent 70.3 events and/or placed near the top of their age groups at the World Championships. The showdown will provide a preview of top age groups athletes to watch heading into 70.3 World Championship in Chanttanooga, Tennessee, the US, in September. The Ironman 70.3 Việt Nam will serve as a qualifying race for the Ironman 70.3 World Championships in Chanttanooga, Tennessee, the US, with 30 qualifying slots available. There are two slots exclusively available for the top Vietnamese male and female, according to organisers. Ironman 70.3 Việt Nam was held in Đà Nẵng in 2015 and 2016 with the participation of more than 1,000 athletes and their families each year.